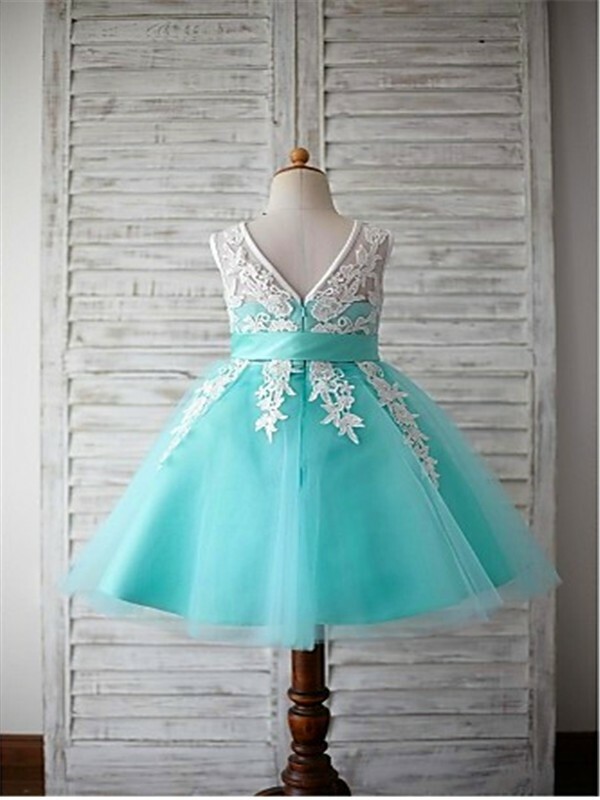 Buy Light Sky Blue Tulle Scoop Ball Gown Tea-Length Flower Girl Dresses in Flower Girl Dresses - Wedding Party Dresses at Bonnyin.ca with low price and high quality. 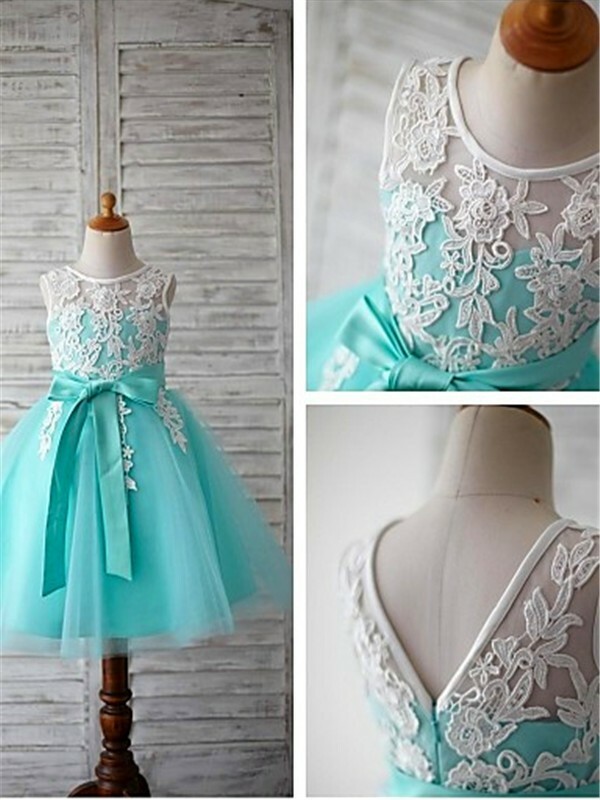 This dress was absolutely gorgeous! I had it custom made since my daughter is taller than most children her age and it came out even better than we imagined! We will certainly be ordering from this site again. 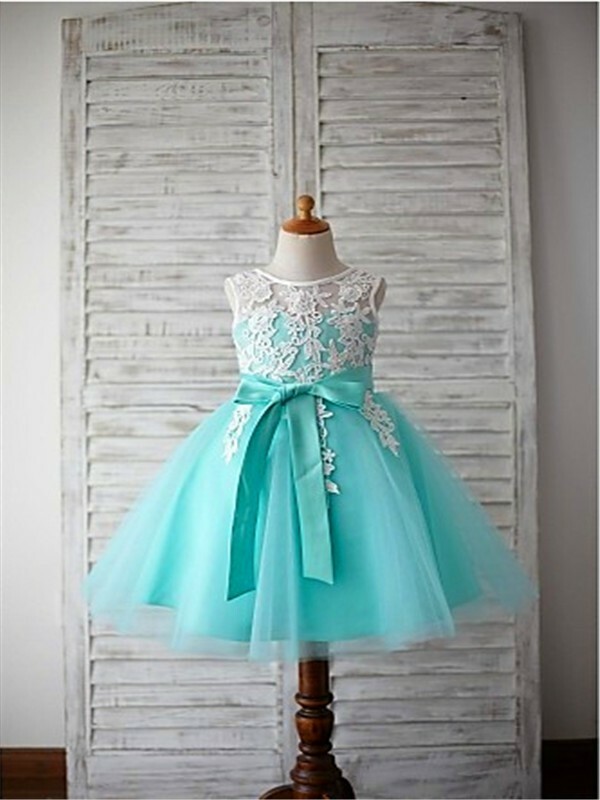 Bought it for my 4 year old daughter to wear at her Uncles Wedding. She is the flower girl:) Great quality.